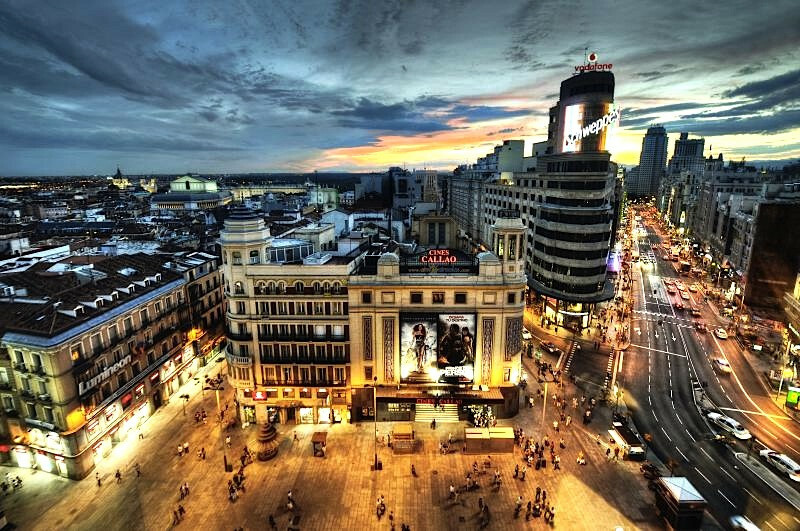 With markets putting Spanish bonds in the cross-hairs, voters dismayed by the country's economic situation are expected to eject the incumbent government in parliamentary elections on Sunday (20 November). Official opinion polls indicate a landslide victory for the opposition conservative People's Party (PP) who are set to win an absolute majority of anywhere between 190 and 195 places in the 350-seat lower house - their best result ever. The incumbent Socialist Party (PSOE), in power since 2004, will according to the same polls not win more than 121 seats - their worst result ever. The economy has dominated the campaign. PSOE is widely being held responsible for bad management of the global credit crunch that burst the country's housing bubble and put millions of people out of their jobs and, as a result, their homes. Unemployment today is at 20 percent - the highest in the EU. Almost half of all young people have no work. "Employment is the most crucial thing for Spaniards today. And the PP are considered to be better at creating employment," Belen Barreiro, director of Fundacion Alternativas, a think-tank in Madrid with close ties to the PSOE, told this website. But it is less the case that traditional left-wing voters have switched to support the right. 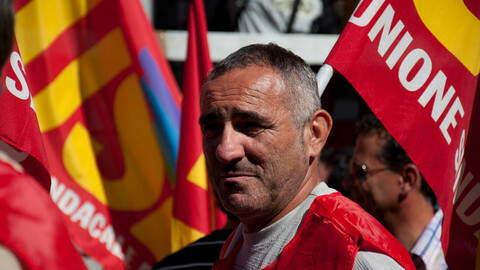 Rather, disillusioned with the austerity of PSOE, they are simply likely to stay home. Mariano Rajoy, Spain's likely new prime minister, has remained vague about his policy plans but indicated that he will cut spending, liberalise the labour market and put in place "a shock plan for entrepreneurs", as he put it on Friday morning on Spanish radio. "There are going to be specific measures from the start for entrepreneurs and there is going to be a clear message from the government that we're counting on them, with the help of the government, to steer us out of this crisis by creating employment." 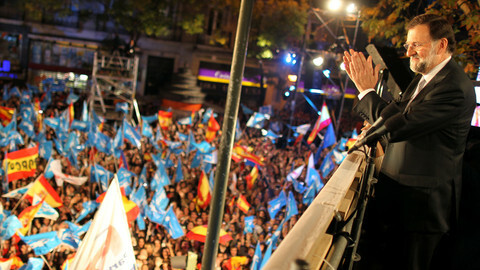 His contender, current interior minister and vice-president Alfredo Perez Rubacalba, has all but predicted he will lose. "I am worried that the right will take over with absolute power," he said in an interview published on Friday in Spanish newspaper El Paìs. Judging from the sensation that became the "indignados" - a Spanish anti-austerity movement who inspired anti-establishment movements across the globe - Spanish voters have grown increasingly disillusioned with politics in general. "If there is any party that is to be disadvantaged by this, it is the PSOE. Many indignados voted socialist before but will now vote blank or for one of the smaller parties. The PSOE, in their eyes, is part of the system," Barreiro noted. Spain's traditionally bipartisan landscape is indeed likely to become more fragmented. The radical-left Izquierda Unida (United Left) will go from two to eight seats, according to polls. Several newly formed groups are expected to enter the lower house, with the left-wing Basque separatist Amaiur winning as many as three seats. The Spanish government will be the fifth in the eurozone, after Ireland, Portugal, Greece and Italy, to fall as a direct result of the crisis. Elections were called earlier than scheduled after ratings agencies took to lowering the country's credibility rating. Worries that Spain might become the fourth country in the eurozone to seek financial assistance were deepened this week when the cost of borrowing money briefly breached seven percent, the level at which Greece, Ireland and Portugal were forced to ask for rescues. "I don't think we're going in that direction. We shouldn't exaggerate," Javier Zarzalejos of FAES, a think-tank related to the PP, told this website. "After all, unlike the new governments of Greece or Italy, ours will have a comfortable majority and a broad democratic mandate. 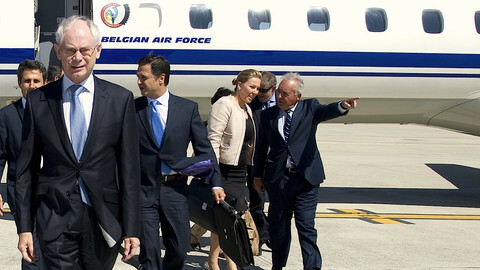 The future government of Spain will be the most stable government in Europe." Popular anger over Europe’s strategy of austerity for exiting the eurozone crisis spread to Italy on Tuesday as the country was paralysed by a general strike. Hundreds of thousands of ordinary Italians poured into the streets of over a hundred cities and towns to protest what Brussels, Frankfurt and Berlin demand. Spain and Italy's record borrowing costs are 'astonishing' after a eurozone deal reached less than two weeks ago, EU Council President Herman Van Rompuy has said. The conservative People's Party regained power and fringe groups did well in elections on Sunday, as voters punished the centre-left for pushing Spain's economy to the edge of ruin.